Delta Downs Racetrack Casino & Hotel today announced that it is altering its stakes schedule for the upcoming 2017-18 Thoroughbred season, due to the regionwide impact of Hurricane Harvey. The 84-day meet is scheduled to get underway on October 18. At the recommendation of the HBPA Board of Directors, Delta Downs has decided to cancel eight open-bred stakes during the first half of the season, including the Delta Downs Jackpot (Gr. III) on November 18. Delta Downs currently plans to continue its full calendar of stakes races in the second half of the season as scheduled. 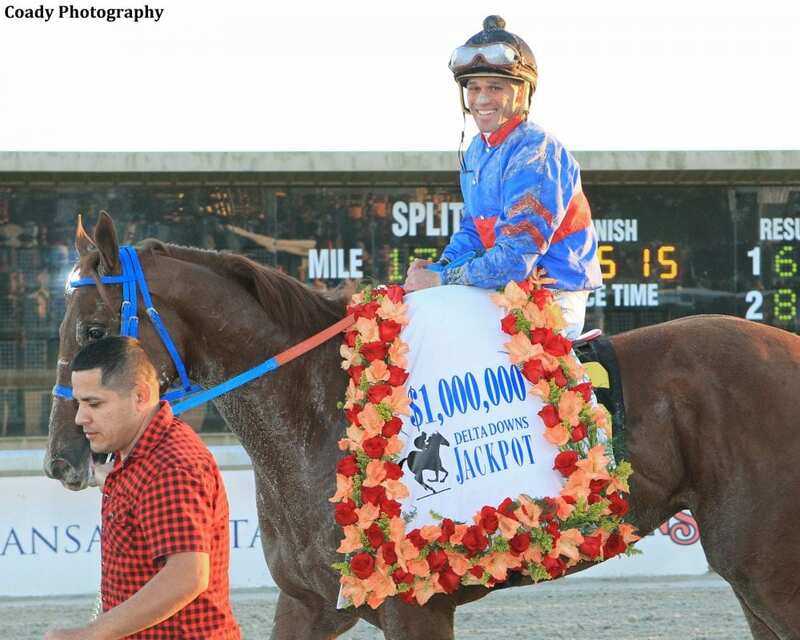 Delta Downs still plans to host two events on the November 18 Jackpot Day card – the $150,000 Louisiana Legacy and $150,000 Louisiana Jewel Stakes. For more information on Delta Downs, including a revised schedule for the 2017-18 season, visit the track's websitewww.deltadownsracing.com. Fans can also get information on Facebook with the track's page 'Delta Downs Racing' and on Twitter with the handle @deltaracing. This entry was posted in NL List, The Biz and tagged delta, Delta Downs, Delta Downs Jackpot, hbpa, hurricane harvey, stake cancelled, steve kuypers, thoroughbred by Press Release. Bookmark the permalink.